Do you bother with your CHM file that can't print topics in CHM file with easy step like print a Microsoft Word Document?Our CHM2Word is easy solution. 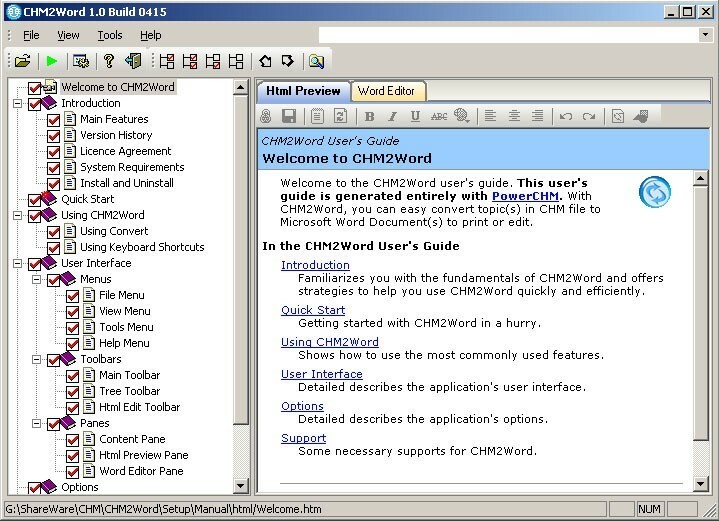 With our CHM2Word, you can easy convert topics in CHM file to Microsoft Word Document to print or edit. So you never worry about print topics in CHM file again. 6. CHM Decompile function supported. 7. Microsoft Office XP Style and Microsoft Office 2003 Style theme supported.